"Systematically commandeered, through eminent domain..."
COLUMBIA, 8/13/12 (Series) -- "The unfortunate byproduct of desegregation and urban renewal was the dismantling of the black business community," writes Alisa McDonald-Warren in a thesis, Successful Black Entrepreneurs in Columbia, Missouri. Joining Jason Jindrich as another graduate student chronicler of black history in Columbia, McDonald-Warren maintains that hope springs eternal: that the roots of black entrepreneurship and business ownership were planted 200 years ago; sprouted and grew after slavery ended; could and should grow again. But for that to happen, the past must never be repeated. "During the 1800s and until the Civil Rights Movement in the last quarter of the 19th century, blacks were not allowed by law to patronize white-owned businesses due to discriminatory practices and Jim Crow laws," writes McDonald-Warren. "This gave rise to a flourishing Black business community in Columbia that regrettably does not exist today known as The Sharp End." The Freemon Funeral Home at 608 Park Avenue and Mr. Jake's Blue and White Café on 3rd Street were but a few of Sharp End's businesses, which also included several professionals (doctors and lawyers). Now home to the Columbia Tribune, the U.S. Post Office, public housing, and several parking lots, the Sharp End was home to the Busy Bee Barber Shop; the Tiger Theatre; and the Ben Bolt Hotel. The Cottle Grocery at 8th and Park served residents in nearby homes. The Royal Tire Store, Kovar's Dye and Fixit Shop, and the Toedebusch Transfer and Moving Company had a more industrial focus. Annie Fisher, the great restaurateur, had both home and eatery in the Sharp End. Blind Boone's home was next door. All was not well, however. As Warren writes, "the federal Urban Renewal Program allowed property where black businesses were located to be condemned as 'slums' and then bought by white business owners and 'redeveloped.' 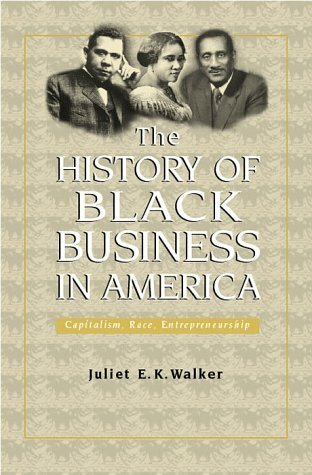 Black families that once owned businesses could not compete with their white counterparts, who had generations of solid business capital, social capital, access to the financial community, and substantial real estate holdings. "Black families who lacked this generational wealth were forced out of business -- and out of their homes, through eminent domain laws that seized their property and did not restore it with equivalent property." Homeownership "banished," these one-time business and homeowners "were relegated either to public housing or substandard rental units," McDonald-Warren found. Jindrich's research concurs. "Some areas of the historic Black community were rezoned for commercial use during urban renewal," he writes, asking "why areas in the heart of Sharp End were designated public housing and therefore removed from private ownership, and why other areas like Cemetery Hill became retail centers." (Cemetery Hill is presently home of the empty Osco building). Stopping short of accusing outright theft, Jindrich left the question of "why" open. McDonald-Warren, however, is more blunt. "Black family homes and businesses had been systematically commandeered, through eminent domain, to make way for the White majority," she writes. The commandeering process occurred through deliberate city neglect and the wide-spread "slumming out" of black neighborhoods in the heart of Columbia. They were "ripened" for the taking.